You are a child of the universe no less than the trees and the stars; you have a right to be here. With all its sham, drudgery and broken dreams, it is still a beautiful world. Be cheerful. Strive to be happy. Morgan Freeman told Oprah Winfrey that the Desiderata shaped his life. Project Communications: Speak your truth quietly and clearly; and listen to others. Yesterday a friend told me the story of a house under construction. The carpenter arrived to install kitchen cabinets but discovered the drywallers' work wasn’t complete. She also learned the electrician hadn’t completed his job either, so she left the site frustrated. She had not been notified and her crews were already tight with the schedule. Subsequently, she heard a few days later the painters showed up (likely on schedule) but, because the drywallers hadn’t been able to work, they also had to leave. This experience - poor coordination, planning and communication - left her asking, "Where is the project manager?" What could have been done to avoid this situation? A schedule outlining who was doing what work would have helped. Maybe this was done but clearly it was not communicated to all of those involved. A communications plan - showing what needs to be communicated to whom, when, and how - would also have been useful. And what could be done at the point where the project was going off the rails, possibly due to lack of communications and planning? In this example, there was obviously a lack of monitoring and controlling. The carpenter could have let the person who hired her know what was happening, hopefully prompting them to get a grip on the project. Without this prompt, who knows how long the project manager would be unaware of what was happening (or not happening in this case)? Let’s say the project manager decided a few days later to check in on the site to see how the work was going. Upon inspection they see no one is working as expected and, of course, no progress has been made. At that point, it is easy to see that the project is prone to disorder and delays. A review of the situation and plan, along with some risk analysis, then timely communications with the various trades, would help mitigate time loss. Schedules not coordinated and communicated can result in extra costs and time for a project. In this example, it also leaves the tradespeople in a position to possibly lose money on a job when their scheduled work can’t be completed in the timeframe they allotted for in their estimate. On top of this, the lack of communication in this case caused some of them declare they would not work for this builder again. 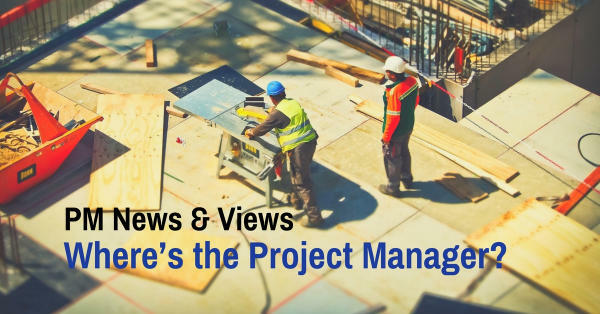 Project management prepares a leader and tradespeople with the skills required to successfully manage projects and navigate through inevitable disruptions. Good luck to you in all of your projects! The topic of the luncheon was “What’s Up, Halifax?” and four panelists represented major projects in beautiful Halifax. The panelists, Alex Halef, President of BANC Group of Companies, Dov Bercovici, President & CEO, Discovery Centre, Bob Bjerke, Chief Planner and Director, Planning and Development, Halifax Regional Municipality, Steve Snider, CEO & General Manager, Halifax Harbour Bridges, were asked questions which had been pre-submitted to the moderator. Several questions were about improving our city for businesses and residents. What struck me with the questions and answers was the emphasis on stakeholder engagement, not only from resident and business to the government and developers, but also among the city and developers. From the answers, you could see that communication was obviously good between the city and development representatives. They communicated in front of over 100 people and were willing to answer the audience’s questions and discuss topics among themselves in the open. It was also heartening to see that both parties were open to further increasing their communication and stakeholder engagement. According to PMI, a stakeholder is "an individual, group, or organization who may affect, be affected by, or perceive itself to be affected by a decision, activity, or outcome of a project." Knowing who the perceived stakeholders are can be the most difficult part of identifying stakeholders. For the cities and towns we live in, we are all stakeholders, and I know the government is conscientious in my area to seek input from residents and businesses. But there can always be more input and improvement on engagement. Is that a bad thing? No. Projects are continuously improving all the time, and we should expect that to be so. 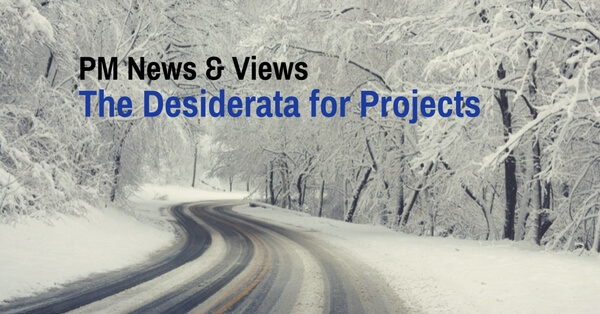 I have observed over the years that, as project managers, we often don’t realize how much project stakeholders want to be involved in a project. Sometimes we might think we are bothering a client or user, other times we think they don’t really want to be engaged at a certain level of depth. 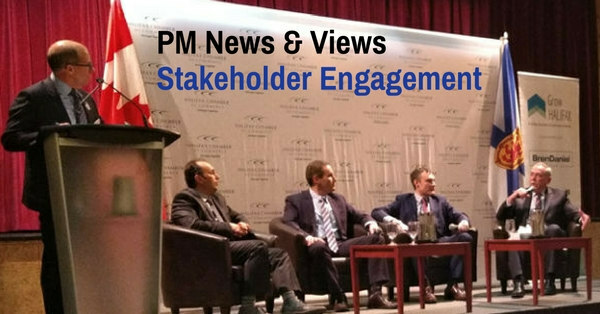 Should we assume how much stakeholders want to be involved? Well, no. We should ask them. The answer might be surprising. Involving stakeholders is a key, and valuable, tenet of project management.